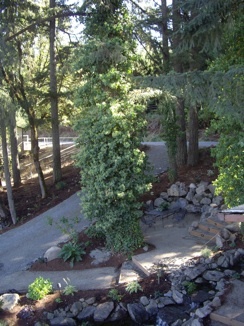 The Castle House recording studio is nestled in a beautiful natural setting surrounded by tall douglas fir trees and accented by a waterfall with pond, outdoor lounge areas, fire pit, expansive sunset views, and inviting landscapes designed to envelope an artist in the creative experience. Just a short drive to beautiful lakes and hiking trails, and less than 90 minutes from a full range of entertainment options from stunning Oregon beaches, downhill snow skiing, and downtown Portland big city life. This destination recording retreat is the ideal escape for the artist looking to submerse themselves in creative inspiration, in and out of the studio. The Control Room, engineered from floor to ceiling and wall to wall around the mix position, provides an extremely accurate and uncolored mix environment tweaked and tuned to satisfy the most discerning ears. 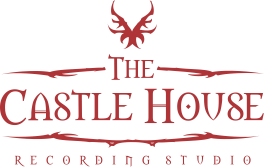 In all, The Castle House is the perfect retreat studio to “move in”, get absorbed by the creative vibe, record killer tracks, and complete highly transferrable mixes, all in one studio. 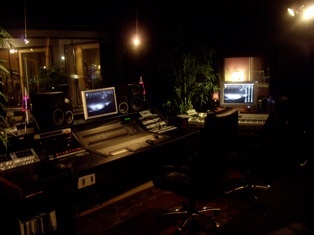 The Castle House, located in the heart of the Willamette Valley in Oregon, is a professional recording studio meticulously developed with an interior that blends inspiring design with the functional aspects of sound control construction providing amazing isolation among 6 separate studio rooms. Special attention has been given to the acoustics throughout. 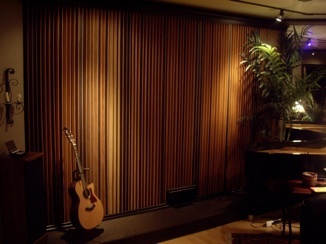 Each room was designed with a unique acoustic signature providing a variety of sound environments for tracking, from highly absorptive “dead” isolation booths to a large “live” room with a stunningly well-balanced live sound due in part to all non-parallel walls and a 9’x20’ full-wall quadratic diffusor. 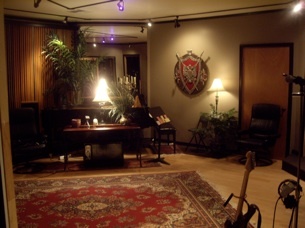 The Castle House recording studio is an excellent choice for tracking instruments requiring pin-drop silence with stellar acoustics.